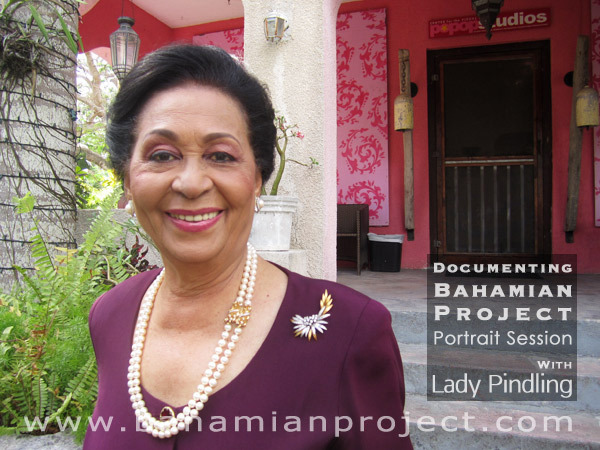 This picture of Lady Marguerite Pindling was taken right after her portrait session for the Bahamian Project. The final portrait images will be unveiled at the Exhibition Opening at the National Art Gallery of The Bahamas on July 11, 2013. She has dined with kings and queens, gracing palaces and places of importance around the world. She exudes the kind of elegance and sophistication one would expect to find in a woman of her refinement and stature… yet she is also surprisingly approachable. Walking into our humble studio she told us that she loved photography and that her first job – “when I was just a single girl,” she said – was with photographer Stanley Toogood. Later she worked for another photographer, Colyn Rees. It was around that time that she met and fell in love with the young lawyer in the office next door – Lynden Pindling, whom she married in 1956. She didn’t say it while in our studio but she has often described herself as ‘just a barefoot girl from Andros’. She was born Marguerite McKenzie on June 26, 1932 in Long Bay Cays, a settlement on South Andros. She was a farmer’s daughter and one of eighteen children. Lady Pindling has represented the Bahamas with dignity and class both at home and abroad. She is well known for her involvement in charitable organizations such as the Red Cross and it has been said that it is important to her to present herself as a positive role model. Her late husband, Lynden Pindling, was the first prime minister of the Bahamas, but she has become a Bahamian icon in her own right, securing her place in Bahamian history. 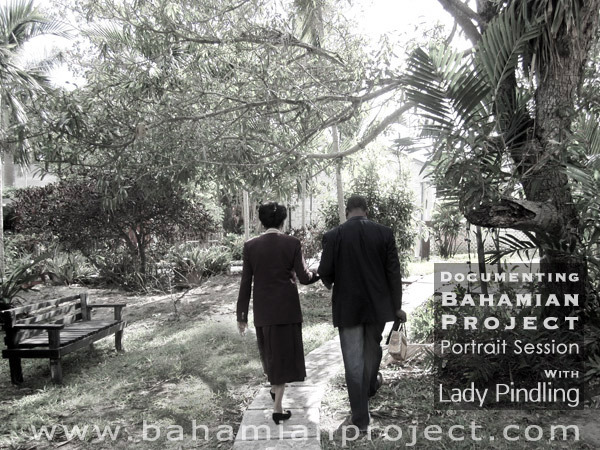 Lady Pindling being escorted back to her car by her driver after her photo session for the Bahamian Project.